In order to stay viable in the minds of customers, utilities must do everything they can to shift consumer perception away from just being another bill to pay. They must move customers toward an engaging relationship with the utility of the future. Why the urgency? With scientists literally bottling solar energy and Amazon submitting a patent for drones that recharge electric vehicles, utilities have a responsibility to their customers to keep up and keep evolving. With that in mind, we’ve identified three things you need to do with your social media strategy in order to stay fresh and relevant. Customers want authenticity from the brands they follow. They want to be able to relate to the people they see in advertisements and the content they consume on social media. The notion of authenticity can be a hard sell, particularly once you step away from selling products and into selling a service or an idea (e.g., energy efficiency). Social media offers up the unique opportunity to humanize a brand or idea through the simple concept of storytelling. In fact, several social platforms, such as Facebook, Instagram, YouTube and Snapchat, thrive on storytelling. Make it a point to integrate storytelling into your brand’s content strategy to help humanize your brand and make it relatable to current and new utility customers. By adding historical and relatable regional components into their content, utilities such as the Tennessee Valley Authority have done an excellent job of integrating authenticity into their social media feed. Imagine a world where customers are customers because they want to be, not because they feel they have to be. Increasing brand loyalty through social media can in turn drive website traffic, bolster word-of-mouth recommendations and enhance positive perceptions, all of which can convert utility customers into ambassadors for their utility. Find your voice: What does your utility “sound” like across social platforms? What is the tone? Casual? Professional? Honest? Sometimes goofy? To find your voice, the first step is to do some research. What does your target audience respond well to? Because your target audience may be different on Facebook than it is on Twitter, we recommend adjusting your tone to fit the platform, as long as your messaging is cohesive. Engage your followers: Make sure that your brand’s content is visually appealing. This is particularly important when audiences are less familiar with the topic of clean energy or energy efficiency. Images will almost always perform better than content that is text-only, and video is king. In a 2018 HubSpot survey, 54 percent of consumers said they wanted to see more video content from a brand or business they supported. Customers cannot engage with their utility on social media if they aren’t seeing its content. The average organic Facebook page post reaches only 8 percent of a page’s audience, compared with paid reach, in which 27 percent of Facebook audiences are reached. A smart paid social strategy can ensure that great content is consumed. Build trust: In the wake of Hurricane Michael, Duke Energy effectively kept customers and community members informed through social media channels, taking the time to respond to questions, offering clear updates and honest communication. Even after the storm had passed, the company integrated important recovery information into its regularly scheduled social media content. Being honest, transparent and swiftly responsive during times of abnormal service or natural disasters is crucial to building brand trust. Keeping that brand trust by incorporating these attributes into regular, day-to-day social media content is the key to cementing a positive sentiment among utility customers. 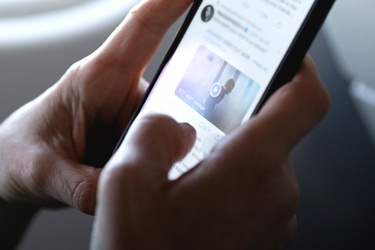 By tapping into real-life moments on social media, utilities have a significant opportunity to make a memorable connection with their followers, creating a relationship and building a sense of community. Get to know your target audience well – the sports they follow, the teams they are loyal to, impactful events in their geographic market, the attributes that make their region unique – and capitalize on those moments with well-crafted, personal content. 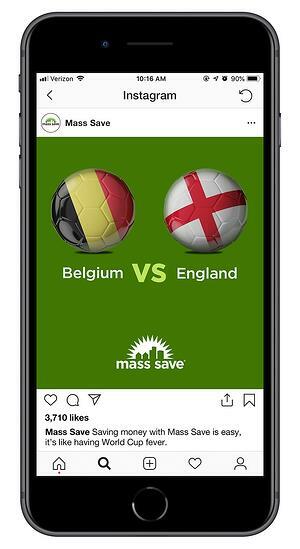 At KSV, to help create a sense of community in what we identified as an opportunity market for one of our clients, we tapped into a significant real-life moment on Facebook, Instagram and Twitter: the 2018 World Cup. The target audience within the opportunity market included big soccer fans, and we recognized the amount of traction the World Cup had within the audience on Facebook and Instagram. Working with the client, we developed and instituted paid social media content to reflect that momentum. Audience members responded positively, with a significant increase in impressions and overall engagement. If you're looking to fine-tune your company's social media strategy or are just looking to learn more about social media best practices, get in touch.